Bathroom items are more gorgeous than ever. You can easily be spoilt at this Sydney homewares store. Sydney, many of us adore the space we bathe ourselves in. After all, this space (that's right the bathroom) is where we put our make up on, shave and brush our teeth as well as you know what else. Not all shops that sell bathroom goodies are created equal. Where is the best place to buy bathroom items in Sydney? 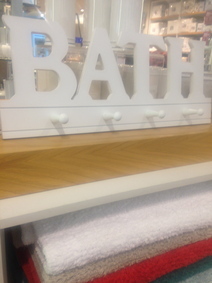 Bed Bath N Table at Chatswood Chase have a diverse range of towels, as well as funky white china soap holders and dispensers to name. Can easily get lost here when in the mood to buy some items to brighten up the bathroom. I agree with Justine. Bed Bath and Table is great for towels, soap dispensers and other knick knacks. Myers also has a pretty good selection and is great if you head in there at sale time. 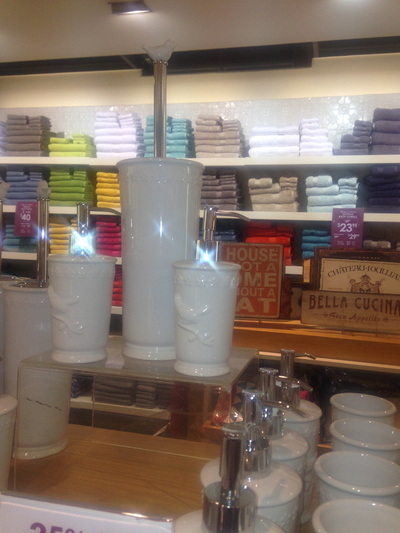 Adairs has some really lovely bathroom bits and pieces. It can be a bit on the pricey side though. I often just go to Target or Kmart for my bathroom bits though, because they are cheap and it doesn't cost me much if and when I decide to change the colour scheme of my bathroom.